Go ask your visitors, customers and prospects. If you want to know what product to build so you have a successful startup, people like Dane Maxwell and Amy Hoy, in her 30×500 course, will tell you to pick up the phone and interview a prospect… or take your ideal customer for coffee and pick her brain… or send out a survey. If you wanna know what messages to put on your home page or landing page, I’ll tell you the same thing. And, if the late great copywriter Gene Schwartz were around, he’d tell you the same thing. If you want to write great copy, swipe it from your visitors, customers and prospects. Why, though? Why should you look to your customers first for messaging? Because the more you reflect what people are thinking, feeling and experiencing when they arrive on your landing page, the greater the likelihood that they will trust you, believe you’ve created the solution to their problems and buy from you. Great. Okay. Solid advice. Sounds good. How do you actually ACT on that advice? 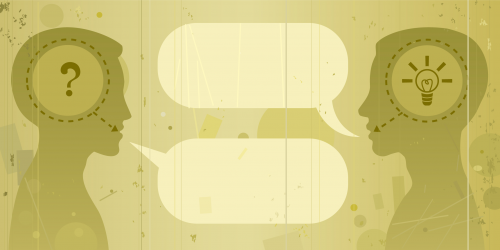 How do you practically use customer feedback to create new messages? After all, you can schedule an interview with a former client, and you can get them on the phone – that’s all easy enough – but what questions do you ask once you’ve got them there? And what do you do with their answers? Add to that the challenge of taking survey feedback from 100 people – what the Helsinki do you do with all of that voice-of-customer data?! If the best messages come from customers, how do you actually – in practical ways – find those messages? Here is exactly how I use survey responses to write high-converting landing page copy for my clients. Note that, although I focus on survey feedback here, all of the following steps can be used for interviews and other methods of gathering customer feedback. I focus on surveys for the sake of blog-post brevity. There are truly hundreds of questions you could ask customers. There are so many questions that I regularly get emails from people asking me to come out with a list of survey questions – because no one wants to waste their customers’ time answering questions that will fall into an abyss. 1 When did you realize you needed a product like ours? What was going on in your world that caused you to come looking for [your product offering]? Paragraph text Knowing what triggered a search for or purchase of your product / service can help you write body copy that directly addresses the exact situation your prospect may be in. 2 What problem would you say [your company or product name] eliminates or lessens for you? Single-line text Kibosh or validate any assumptions you may have about the value your customers truly get from your product / service. What you think people want and need is not always what they actually want and need from you. 3 Why did you choose us? Multiple choice (select max 3) You’ll need these responses to rank what’s most important to your visitors… so you can determine your messaging hierarchy. 4 What 2 adjectives / words would you use to describe our [product/service]? Single-line text Although you think your software is beautifully designed and inexpensive, your paying customers may think it’s easy to learn and simply designed. 5 What title best describes you? Radio buttons (select 1) Prospects need to know if your solution is right for them! The sooner you know whom it’s right for, the sooner you can message such to your visitors. YOUR TURN: Draft a survey in SurveyMonkey or a similar tool to email to your customers. Make sure the above 5 questions are in that survey. Email an invitation to the survey. 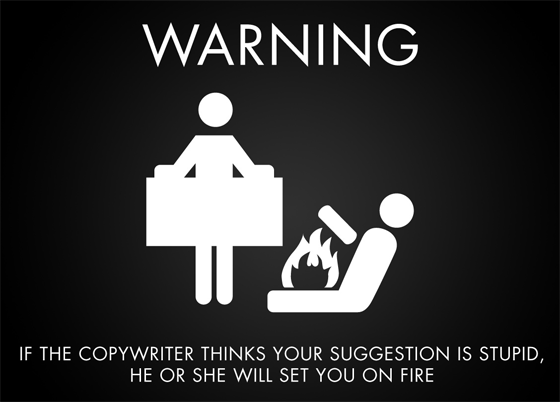 Let’s get this straight: I’m a copywriter. I’m not a market researcher. I don’t talk about statistical significance at parties. I’m not trying to win awards for Best Survey Analysis. I’m just trying to move more units for myself and my clients. So my data mining methodology will probably make most of you laugh – but it works. Take the raw data and fill in the 5 pages. Resist the temptation to summarize. Copy and paste verbatim from your survey into your Word doc. (There are normally a lot of similar responses and a smattering of outliers. Unless we have a reason to think otherwise, we focus on the similar responses.) This will help us understand what people are going through that’s driving them to seek out your solution and visit your page; when we know this, we can reflect the various cases or situations in our copy. The table has these 4 columns: Wants, Hates, Lacks / Needs / Can’t Do, Problems. The responses to Question 2 will usually fit nicely into each of the four columns, though you may need to make a judgment call sometimes. In case it’s not obvious what goes in each column, the first is where you’ll paste verbatims that speak to what your customers most want from you; the second is what your customers most hated about life before you; the third is filled with all their statements about the things they were lacking that you had (or the things they couldn’t do); and the fourth includes all the explicit references to their problems. By the time you’ve completed your WHaLP Assessment, you should have a good sense of what deficiencies people believe they have and what problems you can solve. This assessment will be the basis of your body copy. This is really easy. Most survey tools can even turn the answer to Q3 into a graph for you… so you can skip the manual labor old-school copywriters like yours truly use and just insert the graph. Your Messaging Hierarchy will guide you as you organize the order of the messages on your landing page. With it, you’ll know what to focus on at the top of the page (i.e., the most commonly mentioned reason for choosing you), and what can be subordinated to a single line of body copy somewhere down the page. Paste adjectives in – taking care with seemingly synonymous adjectives – and then give a little tick under Frequency every time that adjective appears. At the end of it all, reorder the adjectives so the most commonly used ones are at the top, showing you at a glance what words are most associated with your product, service or company. …And now you know what descriptive words to use instead of taking a wild stab at ‘em. It may not be the group you’d expected. And you should be prepared, if you’re surprised by the results, to either trust them and roll with it or run a split-test of a landing page that targets X audience vs one that targets Y audience. YOUR TURN: Create the Word doc as described, and fill it in using the responses to your survey. It doesn’t take nearly as long as you may think – block off an afternoon to do it – and it’s truly the most important step you may take as you write your landing page copy. Don’t skip it! Done! Great headline. Great subhead. No thinking. Do you see how easy that was? …Okay, it gets easier the more you practice. But you can clearly see that, with no more than the responses to those 5 basic questions, you can take a headline formula – psst: there are 100s of ’em out there – and actually write the headline and subhead for your landing page. You don’t need to reinvent the wheel. You do not need to exercise any sort of creativity, and it’s actually better if you don’t. Just take what they tell you. And plug it in. When it comes time to write body copy, your Messaging Hierarchy and WHaLP Assessment will help you know in what order to put messages and what exactly those messages should be. The purer you keep the VOC data, the less you’ll have to rely on yourself to write copy… because you can simply swipe their words for your copy. That is the best trick any copywriter could ever teach you, so don’t overthink it – just do it. YOUR TURN: Using the headline and subhead formulas above, craft your own headline and subhead for your landing page. Then take a stab at ordering your messages down the page, complete with verbatim feedback from customers, which you can turn into polished copy once you’re done your first draft. We’ve seen how to go about crafting your landing page headline, subhead and body. But what about your calls to action? The copy on the primary call to action should speak to what visitors want to do right now on your landing page. To know that, I would do a quick Qualaroo survey on the page in question and simply ask, “What would you most like to do on this page?” The responses should be turned into a call to action. But a button with words on it is only one part of the conversion battle. How do you compel people to click? BTW, that button is on a page that follows exactly the steps I’ve laid out here. It’s being tested against a non-optimized landing page that has no such call to action. The test reached statistical confidence yesterday – with a lift of 284% – but we’re not shutting it off yet; I’ll write more about the winning results in the future. YOUR TURN: If you don’t already have optimized button copy, do a Qualaroo survey as described in Step 4. Then, increase the chances of your button getting clicked by using your Question 3 responses to write the “click triggers” for it. That is all. There is no magic to it. There is no writerly genius. There is only a practical application of responses from actual paying customers. Which is sort of genius in itself. …But maybe you’re still wondering whether you need to go through the “hassle” of creating a survey, writing an email to your customers to invite them to take it, and analyzing their responses. Maybe you’re the exception. Maybe the highest converting messages possible are living inside your head right now, and all you have to do is type them out. Put your fingers on the keyboard and write your headline, your subhead, your body copy and your call to action. …Not that easy, is it? Facing the blank white page or an empty template is often intimidating. No copywriter in their right mind would take on the blank page without boatloads of data to get them started. So why should you be any different from top copywriters? Don’t be intimidated. Don’t make copywriting hard. Instead, just trust your customers. Trust what they’re telling you. Because they have been through something you haven’t: they’ve had a problem, sought out a solution and chosen yours. You are writing copy for people who are willing to pay for your solution. You are not writing copy for yourself. Keep that in mind, and the conversions will flow. Joanna Wiebe is a conversion-focused copywriter and the founder of Copy Hackers, where startups learn to write copy. Sign up for her free weekly newsletter and follow her on Twitter.